The following is an actual transcript of the ChiroSecure Live Event with Dr. Stu Hoffman and Dr. Gerald Clum. We do our best to make sure the transcript is as accurate as possible;however, it may contain spelling or grammatical errors. If you have any questions about the transcript or would like to request any transcripts from our previous shows, feel free to contact us at 866-802-4476. Welcome and this is another Katie May special report update. With me today is our resident expert Dr. Jerry Clum. I have seen so many postings online about this case with such an array of how each doctor feels about the case and how they would or wouldn’t respond. I want to stress that every one of these cases are different, as you will see, and if you are one of the unfortunate enough to be involved in this type of a situation, remember that your malpractice carrier along with their team of experts are going to be instrumental in helping you resolve these issues, hopefully with the least amount of damage possible to both you and your practice. We now have a copy of the autopsy report, and I believe that ChiroSecure continues to be the most proactive in the entire profession on these stroke situations as it will affect our entire profession. We have obtained a copy of the report since it was ordered as soon as the coroner completed their work on this. You can get a copy of the coroner’s report if you want to. All you need to do is contact the Los Angeles County coroner’s office. Please note they will only send it by snail mail, and it takes 6 to 8 weeks to get. 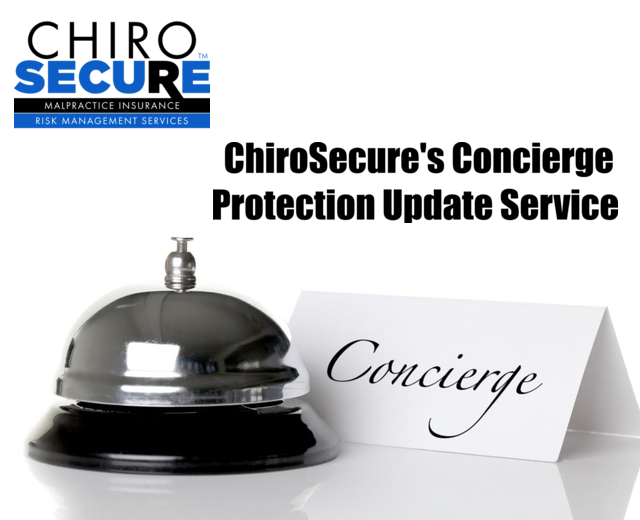 Please do not request a copy from ChiroSecure, as we do not have permission to distribute it. Otherwise, we would’ve already offered it to you. Let’s get started. I want to welcome Dr. Clum back again. We appreciate all the time and effort that you put into the entire profession but also into this whole stroke situation, and now this very publicized case with Katie May. I just want to ask by asking, now that we have a copy of this autopsy report. Has anything changed from your original impressions? Well thanks Dr. Hoffman, and it’s good to be back in touch with you and in dialogue on this thing now that we’ve got the autopsy report. I think there have been a number of important changes that the autopsy report brings to the table. Let me say, for example, that in the early discussions, you remember that the news media, I think it was TMZ and some of the other more sensationalized types of publications talked about Katie May having a fall that started this entire process. Then along the way, the family denied that she had had a fall and her friends denied she had had a fall, but when we look at the autopsy report, the external examination of the body reveals a number of contusions that are unexplainable by medical procedures. table, then the timing would be relatively close to having a fall on, say, the 27th of January or the 26th of January, let’s give it a day either way, and then this autopsy being performed on February 5th. Over that period of time, we’ve all had bruises. We all know how they age. We all how they change color over time and so on, so this indicates that it was a older bruise or not an immediate or an acute situation with a deep purple stain or color that you’d expect. It’s a little bit older, so I think this brings back into question whether or not there really was a fall involved. Now, I’m not psychic. I don’t know, but the findings from the autopsy are consistent with the fall and an injury to the lefts side of the body particularly the upper arm, upper chest, the left armpit, and so on. That’s a confusing point that’s come out of the autopsy report. There’s another confusing discussion in the autopsy report at the beginning in the summary of events, the coroner makes a very dramatic statement that the circumstance of death was a shimmy of the brain that was resulting from bilateral vertebral artery dissections that were the result of a blunt force injury associated with neck manipulation. It’s a very definitive statement. Then later on in the discussion portion of the report, the coroner talks about the idea that there was an injury. The injury produced neck pain that Ms. May presented for care for that, and then subsequent to the … To care for that, and it’s very unclear in the report whether that initial injury was blunt force trauma or whether the coroner’s referring to the adjustment that followed as being blunt force trauma. It’s, again, confusing in that language. The thing that we talked about from the very beginning in this, Dr. Hoffman, was the idea that we didn’t know how fully the coroner’s office appreciated the nuances of this whole situation of cervical artery dissection particular vertebral artery dissection and the development of stroke. The coroner came to an abrupt conclusion that it was related to or the mechanism of injury was the cervical spine manipulation and his language or the neck manipulation and his language to be specific. In the autopsy, the gentleman made reference to or cited an article by Sanchez from 2007 that appeared in the Southern Medical Journal, and it’s a case report. It’s a single case report, and then went on to talk about the idea that based upon this, that there was this tremendous incidence of bilateral vertebral artery dissection and gave the rate of 1 per 100,000 to 1 in 2 million cervical adjustments. bilateral. Both sides were involved which is highly unusual, and I don’t know if everyone has that information and can appreciate that. That’s why the article that you are now talking about from Sanchez is so relevant to what we need to discuss. wrong. The facts were wrong. The citation is wrong. Sanchez uses literature from an opinion piece in 2003 to support his assertions in the paper that the coroner referenced. All of this precedes the 2008 study by Cassidy. There’s this whole line of reasoning associated with the incidence and so on that caused the coroner to come to the conclusion so abruptly that this was the cervical spine adjustment. There was no consideration in the coroner’s report in any shape, form or fashion that there could even be the possibility of a dissection in progress when the patient to the chiropractor and the possibility that the chiropractic care may have worsen the dissection in progress, but there is no acknowledgement that it could have very well happened or occurred before the woman ever got to the chiropractor. coroner’s report in the autopsy report, the less likely that seems probably. Now, when we go back and look at the question of bilateral arterial dissections, particularly vertebral artery dissections, more often than not, far more often than not, these are associated with arteriopathy than they’re associated with mechanical forces. If we go back to the work of Hertzogthat was done at the University of Alberta, we understand that the forces involved with the cervical spine adjustment in the fashion described by Hertzog in that article are inconsistent with the development of bilateral vertebral artery dissection. There’s lots that has come up as a result of this process of the autopsy report and our digging through it. Rather than clearing things up, if anything, it’s muddied the waters a little bit more. Okay, and it leads me to believe that the coroner’s statement about the cause of death which he did indicate as you said started with the blunt force injury to the neck, but his statement seems to be based on the history that he or she may have been presented with from the doctors that made statements at the hospital that Katie May died at. Is that your opinion too? How do you think he arrived? It took him 8 months or so to come up with this conclusion, where do you think it could come from? Well, clearly the idea of whether or not she had an injury before she presented to the emergency room or sometime earlier before she sought care from the chiropractor, that all came from history, whether that came from the family, whether that came from the physicians that were involved in the emergency room, the coroner had not direct access to those people. The references in his report suggest that he acquired that information on an indirect basis rather than dealing directly with people. Right, but there were reports that were sent over to him, I believe, and the other thing is that he, I think he did have presented him the fact that she did have a traumatic injury at the photo shoot, although I’m not sure. He just talked about blunt force injury. You already mentioned, how does this really jive with the fact that after the neck injury, she winds up at the chiropractor and winds up with more or increased symptoms leader her to the emergency room. Correct, and again, that’s the whole dissection and progress scenario that we have been talking about along the way and that Cassidy has talked about and that Kosloff talked about and to a degree that the church talked about in their literature from 2008, 2015, and 2016 respectively. We’re still in that quandary about that entire process. I would say, now with the autopsy report, it looks to me far more likely that she in fact did dissect on January 27th that created the first neck pain that she had, whether that was a result of a photo shoot or that was a result of a fall, let’s assume it’s one of the other or both and move beyond that point, so if she was a dissection in progress, that’s a totally different picture that we have to be concerned about, and she may have been the only she may have demonstrated. We don’t know this from the chiropractor’s records or from the autopsy report for that matter. We don’t know what symptoms she presented with on the 27th, whether there was any neurological signs, whether there was anything to suggest that this is anything more than mechanical neck pain, we’re in the dark in that regard. We have still much to learn in relationship to this, but I’d come back to the point that the coroner’s report where it provides a great deal of information about the findings in general, the size of her kidneys, the size of her heart, et cetera, all of that kind of detail, it really doesn’t get to helping us understand this sequence of events and helping us appreciate really where the point of origin of this problem was. As a result, as I say, I come back to the point that I think it muddies the water rather than clarifies anything at this point. Yeah, so do you think that if the coroner was presented with information showing that she did have this specific fall, do you think he would have or could have drawn a different conclusion? Well, I think the coroner was honest in saying he has never seen a case of this type in his career. This is the first time he has come across this type of problem, which very clearly speaks to how rare it is, number 1. Number 2, being straightforward enough and honest to say you’ve never seen it before, okay, when he went back to a case, a single case report when there is far better, far stronger epidemiological data and so on, and as we all know in the hierarchy of evidence, the case report is just toward the low end of the totem pole. When we realize that that is the premise upon which he based his opinion that I’ve never seen one, now I base it upon a case study as opposed to stronger data. Number 3, I misquoted the data, then it becomes a bit concerning about the conclusion that you draw having made those 3, what I would call methodological errors in this process. It’s all concerning, and we now know that the ex-husband of Katie May is bringing suitagainst this chiropractor that was in, perhaps, the wrong place at the wrong time, but if this type of case goes to trial, how much of these reports are really open to interpretation, as you said, it seems like it really muddies the water more than anything. There seems t be inherent inconsistencies. A lawyer may look at it and see one set of inconsistencies. Maybe you would be the expert witness or somebody else and see another set of inconsistencies there. As a result, when all is said and done, does thecoroner’s conclusions supersede everything else? No, I don’t think that’s the case at all. I think that the coroner’s conclusions are helpful in certain ways. I should say the coroner’s findings are helpful in certain ways. The conclusions that are drawn on those findings are then subject to interpretation. It’s that interpretation that you and I are talking about right now and that we have concern about over time is are the conclusions … I’m not arguing with the facts that the gentleman developed, I’m sure the woman’s kidney weighed what the gentleman said it weighed. I’m sure that the different measurements that were taken are accurate. I’m confident that the illustration that he created in the process of the autopsy is accurate. I’m not taking any issue with that. I’m sure the man is very competent. What I am talking about is you’ve got a situation the fellow has never seen before. He’s using a literature base that’s very weak. He’s misquoting the literature-base and coming to a conclusion using that chain of reasoning, and I think it’s very say and very fair to say that needs to be reevaluated and reexamined. I think that’s not a stretch. That’s not a great one in a million misinterpretation or something to that nature. This is avery straightforward line of reasoning that doesn’t add up. One of the things that I want to touch on is something that you and I go around the country speaking about at different groups and webinars and things of that nature when it comes to the strokes specifically related to the arterial dissections. We’ve, at least I have put out in our public domain that it’s impossible to dissect an artery when it’s a healthy artery. We know that there are certain things that can cause an artery to be more susceptible to dissection including some congenital history. Is it possible, in your opinion, that there may be more to this in terms of congenital history that may not have even been revealed to the coroner? We don’t know, but when we’re talking about a bilateral dissection rather than a unilateral one, that is so rare to begin with, could it be something related to a congenital abnormality that could’ve set her up in the first place? artery. The situation that you’re talking about changes that ballgame in that if the person has an underlying arteriopathy or a pathology in the artery, does that change the calculation? Does that change the forces necessary? That’s absolutely the case. There’s no question. We know conditions like Marfan’s disease or osteogenesis imperfecta 1 or versions of Ehlers-Danlos syndrome or fibromuscular degeneration, all cause changes in arterial walls that cause them to be far more susceptible to dissection, and there are all sorts of other types of ill-defined types of arteriopathies and irregularities in collagen formation, in elastin distribution and so on that would cause an artery to be more susceptible to dissection, and in this case of a person who is otherwise healthy, otherwise fit, midlife, et cetera, and with a bilateral dissection, you have to look at an underlying arteriopathy as a part of this to really fully appreciate the circumstance. anything that you need, but in terms of the show, please watch it rather than calling us and asking questions. I want to ask you, is there anything else you want to add to this scenario for today’s purpose for the doctors to walk away with? I think that the main takeaways that I had hoped we could convey to the listeners today Stu is that we have received the report, the autopsy report, it does very little. It does nothing to say, “Aha, the chiropractor was at fault.” Quite to the contrary, it introduces questions that we thought were otherwise answered. Was there a fall? Wasn’t there a fall? It brings in the question the line of reasoning that the coroner used to come to a conclusion he did, again, using low level data,a case report, and misquoting the citation or the reference in the case report and extrapolating it to the incidence to bilateral vertebral artery dissection, and that’s simply wrong. I mean, it’s factually wrong. If the conclusion, relative to the injury in the vertebral artery being the result of the chiropractic adjustment or the chiropractic manipulation in his language, that really does come into more question today than it did when we just had the news reports when we understand the basis upon which the coroner used to get there. There’s no final answer. There’s no definitive end to this discussion as a result of this, but it is another aspect of it that we want people to be aware of and to understand what’s out there. Don’t get into any conspiracytheory discussion and all, what it means and what I means. The gentleman misquoted the literature and he used a weak form of literature to base his opinion on. That’s it. Now, that gives us something to talk about, gives us something to go back and to dialogue. I don’t know if autopsy reports can be amended. I don’t know if the coroner would change his or her conclusion based upon a feedback to a report once it’s released. I would like to think that things like that would be corrected over time, but I don’t have any experience in that regard to be able to tell you that. We’ll continue to explore those things and hopefully develop some dialogue that might get that amended. Who knows? Yeah, and I do want to reiterate something that you said a little bit earlier in that, hey, we’re not questioning whatsoever the coroner’s integrity, but we are reviewing their findings and how, perhaps, they came to the conclusions that they did. As we’ve been doing since this case unfolded is trying to really keep you on top of the latest information about this situation while at the same time giving you the tools so that you have the information available to answer questions from your patients as well as in your community, but remember, we want you to be professional, informative, and educational, certainly not defensive. Also, as Dr. Clum said on our last special update, if you don’t have a lot of experience in handling these types of situation in the public domain, please, we don’t want to find you in a situation that you are over your head. If you’re asked to do a TV interview or radio interview or anything like that about this, certainly feel free to call ChiroSecure, because as a client, we want you to always get us involved, and we will help you right away. Remember, our expertise is in helping you handle all these circumstances that you encounter, and we have the team that has beensuccessful in helping all of our doctors over the last 25 years. I want to remind everybody, please, stay tuned. We may have another update coming in about a week, but this is the most time-sensitive information available. I just want to re-thank Dr. Clum for always being there for us, supporting the doctors in this profession in any and every way he can, and being available to help clarify some of these information so that we call be up to date ahead of, hopefully, anyone else out there in terms of the actual information rather than just hearsay. Please, go about your business, take care of your patients, educate your patients, and let’s make sure that more people are happy and healthy and successful as a result of being under chiropractic care. I want to thank you for being with us today.